There are millions of individuals in this world that are you using CBD, but there are also a lot of people who are skeptical about it as well. 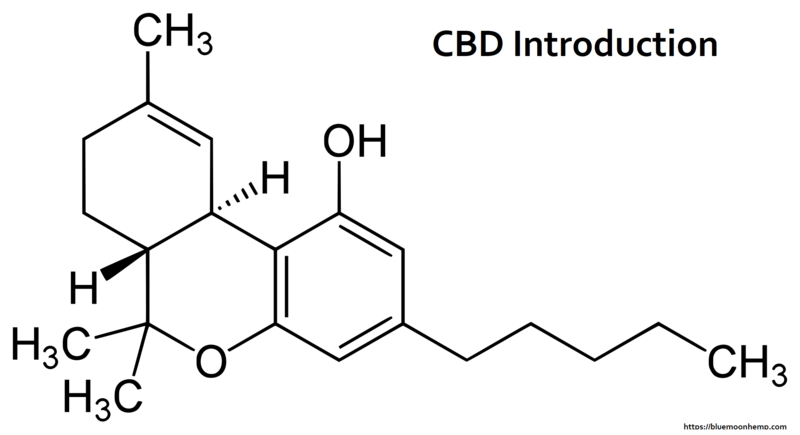 Here is what to know about CBD, This compound is non-psychoactive, or you can say that it is less psychoactive than the THC. This amazing benefit allows the CBD to be helpful and more effective for the release of pains, anxiety, seizures, spasms and many other conditions. This compound has been proved to be best and effective in cases of arthritis, alcoholism, chronic pains, depression, epilepsy and other types of neurological disorders as well. It’s consumption depends on the type of disease or problem and it doesn’t affect you even at a high dose. The chemical compound is basically extracted from the hemp plant and is one of the 85 compounds in which scientists have removed from the hemp. These compounds are relatively known as the cannabinoids. An interesting thing here to add up is that the human body also generates the cannabinoids naturally, as it is good for our body. CBD is extracted from a specific type of cannabis. It is a compound that is most commonly found in cannabis and represents 40% of its extracts. That’s why many of the states made it illegal to use, but for the most part many of the states have legalized it’s use. The federal law allows people for the cultivation and processing of hemp and its extracted products. 1.CBD Use For Epilepsy: There have been a lot of researchers done on cannabis and it’s extracted products. Doctors and scientists have claimed that the CBD compound can help give some sort of relief to Adults and Children who suffer from epilepsy. According to research done in May of 2017, there were positive outcomes for children suffering with epilepsy when they used CBD. 2.CBD Reduces Seizures: It has also been identified that it reduced the median number of seizures each month by 39% compared to just 13% for placebo-treated patients. Scientists studied the effect of CBD (Epidolex developed by GW Pharmaceuticals) on epileptic seizures in patients with the Dravet syndrome. Dravet syndrome is a severe epileptic childhood disorder caused by the genetic mutation that reduces brain inhibition and leads to frequent and uncontrollable seizures. Traditional antiepileptic medications are largely ineffective at preventing seizures in Dravet syndrome, but anecdotal reports from parents of children with the condition suggest that CBD-rich cannabis effectively reduces seizures. 3.CBD Effective For Anti-Epileptic: The researchers found that orally-consumed CBD oil over a 14-week treatment period was an effective anti-epileptic treatment in these patients, reducing the median number of seizures each month by 39% compared to 13% for placebo-treated patients. Further, these anti-epileptic benefits were achieved with only minimal side effects, of which diarrhea and drowsiness were the most reported. While these could be problematic in their own right, they beat having seizures and many of the side-effects from traditional anti-epileptic strategies. 1.CBD Medication: Because CBD was used as an add-on therapy to the patients other anti-epileptic medications, one of the limitations of this study was not used to identify if CBD on its own reduced seizures, or if its anti-epileptic abilities were through interaction with other medications. 2.CBD Effectively Trails: This study’s double-blinded design was a substantial improvement over earlier assessment and benefited from a large sample size (61 received CBD, and 59 received placebo). Previous CBD trials found that it effectively reduced seizures in other drug-resistant forms of epilepsy, but the conclusions of these studies were weakened by their open-label nature, which allowed patients and doctors to be aware they were taking CBD and permitted bias. 3.CBD Medicinal Benefits: This is the largest and most successful clinical trial to-date to demonstrate the medicinal benefits of CBD, and it will likely convince many clinicians to consider CBD for treating the 20% of epileptic disorders that are poorly controlled by traditional anti-epileptic drugs. Autism is basically a spectrum disorder, which happens due to the little inhibition in the brain. This leads to heightened sensitivity to stimuli such as lights, sounds, and smell etc. It also enables the abnormal social behavior as well. Following are the main effects of this amazing chemical compound ( CBD ) on the human body. This is the biggest concern to new users. Does CBD make you high after use? The answer is NO. It is often mixed up with THC but it should be known that it is significantly different in use, properties and benefits than THC. THC is basically a toxicant substance and is illegal to use because it makes you high. CBD is non-psychoactive and doesn’t make you high at all. Cannabis related products, especially the CBD offer great results in the treatment of a number of diseases like ischemic, age-related, and immune diseases as well. The cannabinoids are found to have particular application as neuroprotectants, for example in limiting neurological damage following ischemic insults, such as stroke and trauma, or in the treatment of neurodegenerative diseases, such as Alzheimer disease, Parkinson disease, HIV and dementia. Also On BlueMoonHemp: Will Jeff Sessions’ war on weed whack CBD Oil sales? It is the strongest product of CBD. It’s concentration ranges from 100mg-1000mg. It is advised by the doctors that the tincture should not be swallowed right away. So, you should place the drops under your tongue or along your cheeks. The longer it lasts in your mouth, more effective it will be. The concentrates contain up to 10 times the average CBD products and these convenient to use because it takes few seconds to consume. For the consumers who are looking for faster results and higher potency then this is best for you. It is best to place it on the tip of your finger or spoon and then place it under your tongue. Make sure to have it there for some time before you swallow it. This is a great way to add CBD as your daily supplement as compared to other products. But the most important thing is that you should always take the recommended dose daily with water. More brands have started to add CBD onto topicals, such as lotions, salve, and lip balms, for its skin benefits. CBD topicals are known to help with chronic pain, inflammation, acne, psoriasis, cancer treatment, anti-aging, and so much more. For topical products, always look for a keyword on the product labels that indicate that the product uses Nanotechnology, encapsulation, or micellization of CBD. This shows that their solution can carry CBD through the dermal layers rather than just staying on the skin. CBD infused topicals are recommended to be used as other similar body care products – use it when you deem necessary or when you have certain skin conditions. Typically, the weakest concentration among different products of the same domain. In this method, you have to serve the concentration in your mouth by using the CBD spray bottle and mostly it ranges from 1-3mg only. It has been observed and analyzed that smoking and vaping of this oil doesn’t seem to be as effective as other way’s, but on the other hand, it is believed that if you follow this method of intake then you will face fewer side effects as compared to other products. This is done with the help of vape pen or vaporizers which are specifically made for such purpose. Can your pets take CBD? The answer is Yes, all the time. There are various brands which offer pet tinctures and those are helpful for the animals who are suffering from anxiety. hemp seed oil, as it is extracted from one of hemp’s many cannabinoids and have fundamentally different properties. Also On BlueMoonHemp: How Can CBD Transform Your Life? There is no difference in potency of CBD derived from hemp or CBD derived from marijuana. If you have 10 percent CBD in a hemp plant and 10 percent CBD in a marijuana plant, the only difference is the amount of THC in those plants. The hemp plant containing at or below 0.3 percent THC and the marijuana plant containing greater than 0.3 percent THC. While the different levels of THC or other cannabinoids might make the effects seem different, the potency of CBD is the same. It’s also important to note that there are differences in potency between hemp-derived CBD products. Some CBD companies use hemp that is meant for fiber or seed production and is not high in CBD. This is because the manufacturer must process far too much plant material to derive small amounts of CBD. This is not the case with CW Hemp, as the Stanley Brothers created the first high-CBD hemp variety, which is used in all CW Hemp products. To my knowledge, these proprietary genetics are still the highest in CBD concentration of any marijuana or hemp variety. What happens if you take an overdose of CBD? You cannot take enough CBD to kill yourself or damage organs. This is not practically possible. First, lets discuss the LD-50 rating of cannabis, which is 1-20,000- 40,000. This is the ratio between a therapeutic and lethal dose. Comparatively, the LD-50 for aspirin is 1:20. Two aspirin will take away a headache, 40 aspirin will kill 50 percent of the people who take that many. To cite a silly example, try to imagine someone smoking 40,000 joints in one sitting. Literally, it is not practically possible to imbibe enough CBD/cannabis to kill yourself. Even with THC, you will fall asleep first. However, you can take too much CBD and experience sedation, appetite loss, or diarrhea (CBD is a stool softener). In short, cannabis compounds are some of the least toxic substances known to man. With this being said, you can still take too much, and have and have an unpleasant experience, but permanent damage to the body or death are both out of the question. CBD Perception Of Pain: CBD instead activates a variety of other receptors, including adenosine, serotonin, and vanilloid. Take the TRPV-1 receptor, for example: once activated, it can affect your body temperature, inflammation, and perception of pain. CBD Impact On Learning: To use another example, activating the adenosine receptors provides anti-inflammatory and anti-anxiety effects. The same receptors also affect the body’s release of dopamine and glutamate, the former of which plays a part in your levels of motivation, reward mechanisms, and motor control. The latter has a major impact on learning, cognition, memory and excitatory signals. CBD Impact on 5-HT14: The amount of CBD used can impact the receptors it’s able to activate. For instance, high concentrations can activate the 5-HT14 serotonin receptor responsible for producing anti-depressant effects as well as influencing appetite, nausea, anxiety to sleep, pain perception and addiction mechanisms.Finally, it can also block CPR55 signaling, a factor linked to your blood pressure and the modulation of your bone density. CBD and THC at the same time, Really? It is interestingly true that the use of CBD may reduce the unwanted effects of THC. It can help in a classic way for the short-term memory losses, pains, and anxieties. These things are common if you are a user of THC at the high dose. While THC and CBD have different pharmacological properties, they can both have similar physiological effects, probably acting through different mechanisms. For instance, both compounds can have analgesic and anti-inflammatory effects; they may act through different mechanisms, so having THC and CBD could potentially enhance an outcome surrounding pain relief. The amazing extraction is being used in different parts of the world in various forms. It is now being recommended by the doctors and consultants to overcome various conditions like anxieties and pain etc. It should be known that it doesn’t have any Euphoric effect, or you won’t get high after its usage. It is clearly stated that CBD is extracted from hemp and it is not-psychoactive. CBD helps in the best way for inflammation. CBD Provides relief from pain. CBD suitable in cases of anxiety as it will provide ease and comfort. CBD can help you to fight cancer. of this compound, you can get relief from it. CBD can help in the treatment of seizures and other Neurological disorders. CBD lowers the incidence of diabetes as well. What else you want from it? CBD Best for the cardiovascular health. CBD has been shown to significantly reduce and even stop prions, which are the proteins responsible for causing the condition known as mad cow disease. Formation of prions is prevented when CBD gets subjected to the body of the patient. The compound prevents the accumulation of the prions and also shields neurons from toxic effects. CBD plays a major role in the immune system modulation which basically means that it helps in auto-immune conditions such as rheumatoid arthritis. Rheumatoid arthritis is a chronic progressive disease which causes inflammation in joints, resulting in painful deformity, and at times immobility in the fingers, feet, wrists, and ankles. Because of its anti-inflammatory effects, CBD oil provides relief of joint pain caused by rheumatoid arthritis, and can also decrease joint destruction. What side effects does it have? We all know that our body also generates the cannabinoids which are known as the endocannabinoid. This system is to maintain the body homeostasis which includes sleeping habit, mood, anxiety, pain, appetite and immune system response as well. Each day, our outside environment influences your systems, causing them to fluctuate. The endocannabinoid system is constantly working on keeping them in balance. CBD and other cannabinoids support the efforts of this naturally occurring endocannabinoid system. CBD is thought to be well-tolerated and safe for human consumption. According to WebMD, “CBD doses of up to 300 mg daily have been used safely for up to 6 months. Higher doses of 1200-1500 mg daily have been used safely for up to 4 weeks.” There have been some reports of dry mouth, low blood pressure, lightheadedness, and drowsiness, the health information site reports. Following are the prominent side effects of CBD. Although the research on the medicinal use of cannabis is strong, several studies indicate that the recreational use of cannabis can have persistent adverse effects on mental health. According to a 2013 report published in Frontiers in Psychiatry, depending on how often someone uses, the age of onset, the potency of the cannabis that is used and someone’s individual sensitivity, the recreational use of cannabis may cause permanent psychological disorders. Most recreational users will never be faced with such persistent mental illness, but in some individual’s cannabis use leads to undesirable effects, including cognitive impairment, anxiety, paranoia and increased risks of developing chronic psychosis or drug addiction. Some studies show that CBD can counteract these adverse effects, but more research is needed, as most of this research is done on animals or is based on anecdotal reports. Little research has focused on the safety and side effects of CBD in humans; however, clinical trials indicate that only a few, generally mild side effects have been observed after CBD administration and tolerance for CBD does not seem to occur. CBD is one of over 60 compounds found in cannabis that belong to a class of ingredients called cannabinoids; it is the major no psychoactive component of Cannabis sativa. Research shows that CBD benefits include acting as an anti-inflammatory, anticonvulsant, antioxidant, antiemetic, anxiolytic and antipsychotic agent, and is, therefore, a potential medicine for the treatment of neuroinflammation, epilepsy, oxidative injury, vomiting and nausea, anxiety and schizophrenia. intoxicating effects of THC, such as paranoia and memory impairment.